Tree ornaments are safely nestled back into their boxes and most of the pine needles swept up. Except in our home…I’m determined to keep the tree in place and the many creche scenes on display at least until Epiphany (January 6th), celebrated by many Christian traditions as “Three Kings Day,” or the day was Jesus was made manifest (manifest = epiphany) to the Gentiles. While many assume only these twelve days of Christmas are the official season, a crucial event cannot be overlooked. Only Matthew records the visit by sages from the East to this child they call the “King of the Jews.” (Do you also find it interesting that Gentiles first acclaimed him as such??) After presenting their gifts, Matthew writes that they were “divinely instructed and warned in a dream not to go back to Herod…” Another divine dream intervention occurs when Joseph is told to take Jesus and Mary to Egypt because “Herod intends to search for the child in order to destroy him,” so–much like the situation in our modern day Middle East–Jesus and the small family become refugees to escape a tyrant’s evil. But not every family can flee and what happens next dare not be excluded from the Christmas story. Herod’s rage exploded “and he put to death all the male children in Bethlehem and in all that territory who were two years old and under… (Matthew 2:16). The Slaughter of the Innocents. This isn’t sweet-baby-in-a-manger stuff. No singing angels or bowing shepherds. No cookies, Santas or elves. It’s almost as though God wants us to be stricken with the reality of God’s purpose in Jesus from the very beginning. Bloodshed in the beginning. 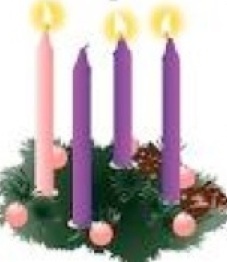 The peace, love, joy and hope of Advent, the miracle in the manger, all find their destiny at the cross. This reality erases none of the angels’ triumphant chorus: “Glory to God in the Highest and on earth peace among those with whom he is well pleased.” In fact, it is for those “innocents” of Bethlehem and the ones dying today near the Savior’s birthplace, who find true peace because of Jesus. Don’t quit Christmas just yet. It’s not quite over. 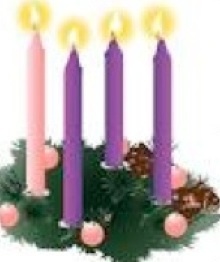 Is there anything more ludicrous than the titles we assign to the Advent candles? Hope? Love? Joy? And now peace? It seems that each week of this 2014 Advent revealed more injustice, cruelty, poverty and disaster. Some refuse to listen to media reports, some rant in helplessness, others lie sleepless as they contemplate the horrors. 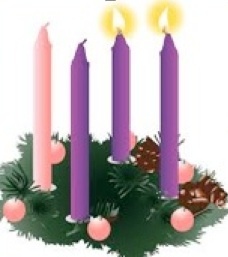 I’m having a hard time writing about joy as we enter this third week of Advent. Don’t get me wrong: I love the music, church services feed my soul, time with friends is energizing. I even enjoyed the baking…most of it. But we recently spent a week at the Global Aid Network office near Dallas, Texas where we were given up-to-date reports on the plight of refugees in the Middle East, heard of the dire need for medical supplies, blankets and food, and while we met together, reports arrived of Christians martyred for their faith. Joy? I struggled with the word. I investigated its meaning throughout the Bible. I diligently searched for some meaning that didn’t include elements of rejoicing…and didn’t find any! Questions whirled in my brain: Is joy always “personified” by jumping and leaping and shouting? Do expressions of joy relate somehow to personality? culture? environment? circumstances? what do I do with Paul’s words to “rejoice always” when faced with injustice, poverty, greed, evil on a grand scale as well as in my own heart? In my pursuit for a deeper comprehension of joy, several comments began to give me flickers of understanding with most emphasizing that joy is a natural outcome of intimate fellowship with God, a belief in the fundamental fact of God’s sovereignty, and a response of the mind to any pleasurable event or expectation. Did you catch the words “fact,” “belief,” “mind” and “expectation” in that sentence? Not much jumping, leaping and shouting, but lots of choice. One man wrote, “In spite of the profound elements of grief and tragedy in (Jesus’) life, his habitual demeanor was gladsome and joyous.” J.B. Phillips paraphrases these words from the New Testament book of Hebrews: (Jesus) endured a cross and thought nothing of its shame because of the joy he knew would follow his suffering. I think I’m getting closer to the meaning of joy. I believe that at its heart is expectation. Advent is marked by the word “waiting.” Zacharias waited nine months in silence before John was born. Mary and Joseph waited for the birth and then for a settled lifestyle in Nazareth. Jews waited for centuries for the Messiah. I say with confidence that all of us wait for something, but how we wait will determine whether or not we possess and express joy. Lasting, genuine joy cannot be “produced.” It is a gift given by the Holy Spirit to be experienced as we submit to his leading, accept his plan and live for his glory. The best definition I found (after all that searching!) was written by Rick Warren: Joy is the settled assurance that God is in control of all the details of my life, the quiet confidence that ultimately everything is going to be alright, and the determined choice to praise God in every situation. That is not “pie in the sky” living. It is how refugees, prisoners and martyrs express joy. But December 25th in the Middle East looks anything but soft, warm and beautiful. Parents in Lebanon refugee camps hope that “Santa” brings mats so their children won’t sleep on hard ground in winter’s bitter cold. There is nothing magical about Christmas Day if you have mere tablespoons of rice to feed your family the holiday dinner. As we light this candle of love, we dare not neglect the question, “What does love—Jesus’ love—look like?” Maybe instead of—or in addition to—reading from Isaiah and the Gospels, we should Google “modern Christian martyrs” or “who’s hungry this Christmas?” or “refugees in Syria.” Before shopping for toys or sweaters or books, we buy baby chicks for women in Zimbabwe who want to start their own businesses. We take our children to serve meals at homeless shelters. We give ourselves the gift of learning more about the horrors of female circumcision in Africa and the Middle East so our hearts break and our wallets open. The kind of Christmas love that came down that first Christmas doesn’t put a damper on joy, doesn’t deprive the little ones of electric trains or pretty dolls, doesn’t cancel concerts and plays. Real Christmas love takes all that and transforms it into a celebration of Jesus’ love from the moment of his birth in a manger, among the cattle. He came in the midst of the muck and asks us to go there too. His love came down that Christmas.